British Prime Minister Neville Chamberlain speaks to a crowd at Heston Airport on his return from Munich, Germany. Listen to the September 4, 2018, episode of the Trumpet Daily Radio Show. 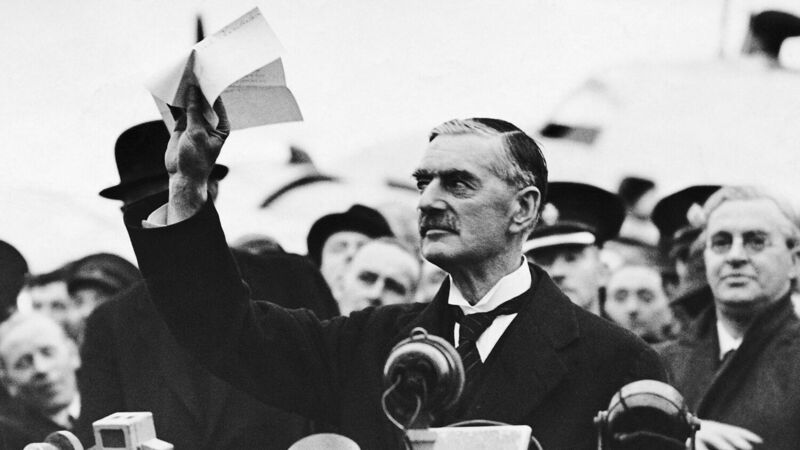 On Sept. 30, 1938, Neville Chamberlain and Adolf Hitler signed a piece of paper that said Britain and Germany would never again go to war with one another. Less than a year later, Europe descended into the worst conflict in human history. On today’s show, I take a look back at the Munich surrender, the lessons we can learn from it, and how it applies to our time today. Subscribe to the Trumpet Daily Radio Show on iTunes, RSS or Stitcher. After 40 years of struggle, Iran has finally subdued Iraq. Now it sets its sights on the greater prize. Inner conflicts among Fatah officials could provide Hamas an opportunity to establish a foothold in the West Bank. Palestinian Authority President Mahmoud Abbas may be unwell and could soon have to step down. Other Palestinian leaders are already maneuvering to gain the support of armed groups so they can fight for his job, according to an August 23 Ynetnews report. In May, the 82-year-old president was admitted to the Istishari Arab Hospital in Ramallah three times. In one visit, he was dealing with a lung infection and a fever. Palestinian journalists avoid covering Abbas’s health, so few other details are known. 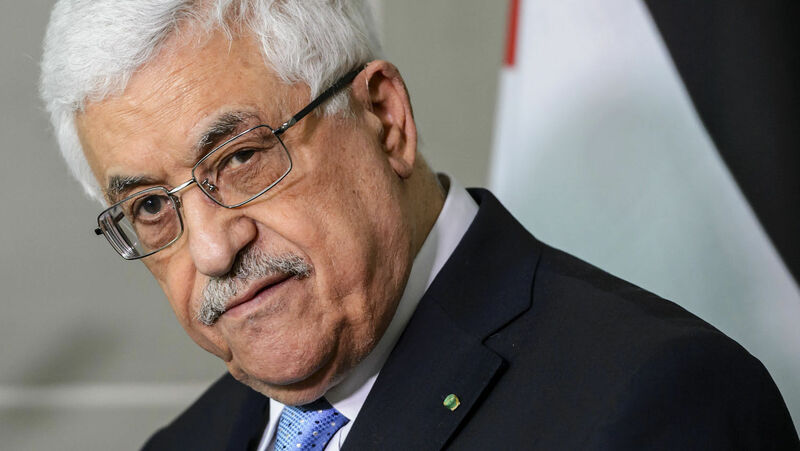 Abbas’s current health crisis seems to affect his future the most, and it happened to reveal the extent of the political crisis within the Palestinian Authority, which has not opened up about the truth of what [Abbas] is going through. The PA is intentionally keeping the public in the dark so as to avoid certain situations that Abbas’s associates do not seem to be ready to face. They seem to be avoiding talking about what could happen after Abbas, a question that may pave the way for political chaos if agreement is not reached over a constitutional political mechanism to choose a successor. Abbas currently holds three positions of authority: chairman of the Fatah political party, chairman of the Palestinian Liberation Organization and president of the Palestinian Authority. These positions could next be filled by Jibril Rajoub, former head of the Preventative Security Force in the West Bank; Mahmoud Aloul, vice chairman of Fatah; Majed Faraj, head of the Palestinian General Intelligence Service; and Brig. Gen. Tawfik Tirawi. All are Fatah officials who have the support of armed Palestinian groups. Ynetnews said that these armed groups, located in the West Bank, “are comprised of refugees from the al-Aqsa Martyrs’ Brigades, the military wing of Fatah during the Second Intifada.” This union is “supposed to provide the candidates with firing power in the event that the impending succession war will involve violence and the use of weapons” (ibid). The second scenario is that the political situation will revert back to the Second Intifada days, when inner conflicts between the Palestinian groups deteriorated into violent clashes and chaos in the streets. Hamas might benefit from such a scenario and gain power in the West Bank, while Fatah members are fighting among themselves. Foreign Policy labeled the Palestinians’ violent March of Return protests, which have been taking place since March, as “a desperate bid to provoke a crisis.” Hamas, Fatah’s political rival, is trying to create a crisis that it can then take advantage of but it is beginning to run out of options. Hamas first took power in 2006, when it won a majority from voters in the Gaza Strip, despite overwhelmingly negative international opinion. But Abbas refused to relinquish power. This sparked a factional war between Fatah and Hamas. By mid-2007, after about 600 Palestinians had been killed in the fighting, Hamas had taken full control of Gaza, and it had forced Abbas to retreat to the West Bank. Gaza’s 2014 war with Israel heavily damaged the area. Since then, reconstruction projects have drained Hamas of its funds. Combined with an Israeli blockade and the recent border closures, Hamas is suffering from a severe lack of funds. Hamas began encouraging border protests in an attempt to gather more favor from the international community and increase resentment against Israel. So far, it has been a fairly successful endeavor, but it is slow and irregular compared to how Hamas leaders usually operate. They would rather take advantage of a chaotic situation. A post-Abbas civil war inside Fatah could give Hamas the opportunity it is looking for. The Arabs of the Fatah party currently control the West Bank. However, Hamas terrorists (and weapons) are present throughout the West Bank and there is little doubt that they are working toward getting control of this strategic region of Israel. Hamas’s ultimate goal is to overrun Jerusalem. Such an event would likely inspire many moderate Arabs in East Jerusalem to suddenly turn radical. Zechariah 14 prophesies this Arab conquest of East Jerusalem. Control of the West Bank, the southern portion of which adjoins the city of Jerusalem, is therefore a crucial step for Hamas to achieve its goal. For more information on this coming violent clash and Jerusalem’s future, please read editor in chief Gerald Flurry’s booklet Jerusalem in Prophecy. Does the Language You Speak Change How You Think? 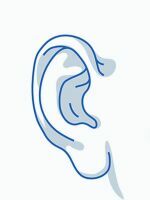 Language doesn’t just express thought, it can also influence it. Purify the language, and you can help purify thoughts and actions. 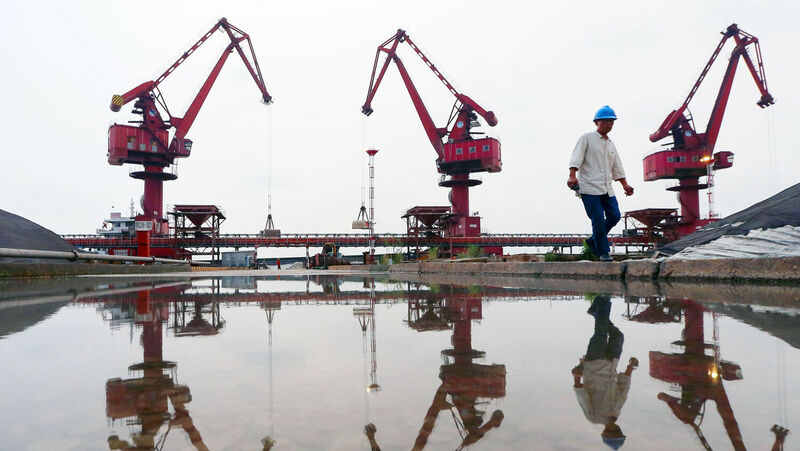 A worker walking as crane buckets transfer imported soybeans at a port in Nantong in China’s eastern Jiangsu province. America may win the battle, but not the war. Trade war between the United States and China escalated on August 23, when the U.S. government levied 25 percent tariffs on $16 billion worth of Chinese goods, up from the previous rate of 10 percent. China responded in equal measure, implementing 25 percent tariffs on $16 billion worth of American products. Currently, the dispute affects roughly 17 percent of trade between China and the U.S. The most recent American tariffs apply to items such as semiconductors, plastics and chemicals. China places a special emphasis on producing these products under its “Made in China 2025” plan. Chinese tariffs apply to American exports such as aviation fuels, scrap copper and vehicles. For the short term, it is quite possible that America will win. America’s economy is larger and members of China’s ruling party are already facing significant criticism from those within their own circle. For now, it looks like an American victory. But even if America wins the trade battle, it will not win the trade war. We have learned that Chinese espionage agents have been deeply buried within the U.S. hierarchy, from Sen. Dianne Feinstein’s former limousine driver of some 20 years to Jerry Chun Shing Lee, a former [Central Intelligence Agency] agent recently arrested and charged with exposing U.S. contacts and sources inside China. China knows how to play the long game, and there is no sign that it plans to stop competing against the West. Though limited right now, trade wars against the U.S. will intensify to the point where the nation will fall under a dangerous economic siege. The Holy Roman Empire, along with the kings of the east (the Asian nations), will cause economic problems and bring on destruction in many ways “until thy high and fenced walls come down, wherein thou trustedst, throughout all thy land: and he shall besiege thee in all thy gates throughout all thy land, which the Lord thy God hath given thee” [Deuteronomy 28:52]. The real pressure is coming from without. “In all thy gates” refers to a trade war. Since the days of Herbert W. Armstrong, editor in chief of the Plain Truth—predecessor of the Trumpet—we have closely watched the rise of the Chinese to superpower status and the simultaneous decline of the Western democracies of the U.S., Britain and Israel. To learn how these prophecies will affect you and how this present age of wars will finally come to an end, request our free books Ezekiel: The End-Time Prophet and Mr. Armstrong’s The United States and Britain in Prophecy. When Will the Dollar Collapse? 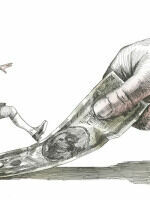 The U.S. dollar: The world’s worst reserve currency, except for all the others—for now. 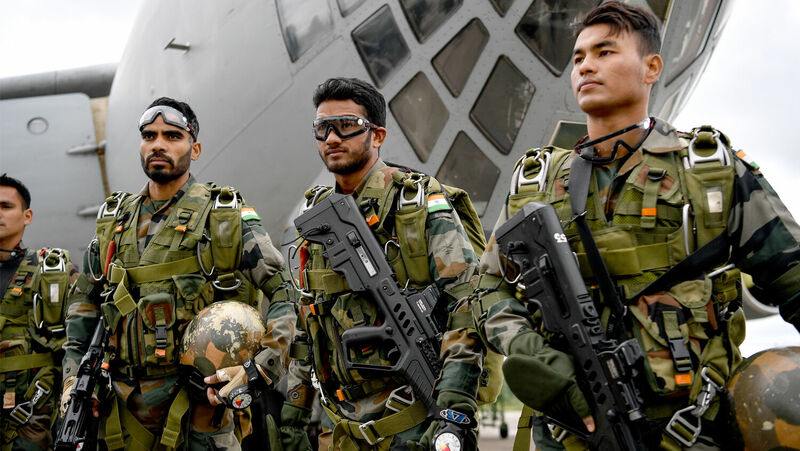 Indian Air Force military officers stand outside a military cargo aircraft at Shagol Airfield during Peace Mission 2018, an international anti-terrorism exercise by sco member states. India’s membership in the Shanghai Cooperation Organization boosts Russia’s power. India and Pakistan took part in the Shanghai Cooperation Organization’s biannual anti-terrorism military drill from August 22 to 29 in Chebarkul, Russia, marking the two countries’ first participation in an sco military drill since they became full members of the organization last year. The sco is a political, economic and security alliance led by Russia and China that also includes Kazakhstan, Kyrgyzstan, Tajikistan and Uzbekistan. The Peace Mission 2018 military drill was conducted by Russia’s Central Military Commission, with more than 3,000 soldiers from seven sco member states participating. The military exercise focused primarily on training soldiers in how to deal with terrorism and extremism. India’s entrance into the group last year was notable in part because of its previously strained relationship with China. A war broke out in 1962 after China attacked India to secure its Tibetan borders. The relationship has remained tense ever since, with India hindering China’s Belt and Road Initiative, China increasing its military presence in the Indian Ocean, and frequent border skirmishes between the two most-populous nations on Earth. A major factor enabling India’s entrance into the sco was its intimate relationship with Russia. Russia is India’s largest weapons exporter and its most reliable military partner. In July, India purchased Russia’s newest missile system in response to China acquiring the same missile system. India and Russia have agreed to boost bilateral trade to $30 billion by 2025. Now that India has joined the sco, relations are expected to improve further. India’s entrance into the sco is also deeply significant because Trumpet editor in chief Gerald Flurry has identified Russia as the nation that will lead an end-time Asian military bloc referred to in Bible prophecy as “the kings of the east” (Revelation 16:12). Mr. Flurry’s forecast is based on prophecies in Ezekiel 38, Daniel 11 and other chapters showing that a union of Asian nations led by Russia will emerge on the world scene in the end time. Ezekiel’s prophecy says the Russian-led army will include “Persia, Ethiopia, and Libya … Gomer, and all his bands; the house of Togarmah of the north quarters, and all his bands: and many people …” (Ezekiel 38:5-6). Gomer refers to Japan …. Ethiopia and Libya should be translated “Cush” and “Phut.” Some of Cush and Phut migrated to African nations, but the rest settled in parts of India. The context of this passage shows that it refers to modern-day Indians (and perhaps Pakistanis) rather than Africans. Russia and China are the main powers driving the biblically prophesied cooperation of “the kings of the east,” and the sco appears to be a major tool they are using to do so. Most onlookers today view China, not Russia, as the sco’s main power. But India’s membership in the sco could boost Russia’s standing significantly. The latest round of sco military drills are helping to set the stage for the leaders, economies and militaries of “the kings of the east” to unite. How Long Before Pakistan’s Nuclear Weapons Fall Into Jihadist Hands? Pakistani military personnel stand beside a Ghauri nuclear-capable missile during a Pakistan Day military parade in Islamabad on March 23, 2017. “Pakistan is the most dangerous country in the world,” Michael Morell, a former acting Central Intelligence Agency director told Axios last month. Not only is Pakistan one of the nine nations that possess nuclear weapons, it is also a hotbed of intensifying Islamic radicalism that places the security of those weapons in question. Several factors combine to make the situation in Pakistan a perfect storm that could culminate in a nuclear thunderbolt. With more than 650,000 active personnel, Pakistan’s military is the world’s fifth-largest. It possesses the world’s fifth-largest nuclear arsenal, as well as a “triad” of delivery systems that can strike from land, sea and air. The balance in political power between this mighty military and Pakistan’s weak civilian government is continually shifting. But the one constant is that the military always maintains the upper hand. Despite Pakistan’s Constitution stating that the military must “act in aid of civilian government,” top officers have routinely violated this by overthrowing elected governments and enacting martial law. Viewing the military as the custodian of the country, they exert outsize influence over Pakistan’s economy, foreign policy and local politics. It is often said that most countries have an army, but Pakistan’s army has a country. The main reason the military wants to keep a firm grip on decision-making is due to its fears of Pakistan’s archrival, India. India has recently acquired $6.5 billion in new military hardware, plus Russia’s S-400 missile defense system. As the concerns over India intensify, the military’s grip on political power tightens. Military leaders “have convinced themselves over years that India is an eternal enemy and that they are the only saviors of the country,” said Husain Haqqani, former ambassador of Pakistan to Sri Lanka, in an interview with Today’s WorldView. Pakistan’s funding and support of these terrorist networks has resulted in “the deaths of U.S. soldiers, Afghan security personnel and civilians, plus significant destabilization of Afghanistan,” the report noted. Yet Pakistan’s military continues assisting jihadists, partly in an effort to limit India’s influence in the region and partly because the Taliban is Pakistan’s only ally among Afghanistan’s numerous political factions. 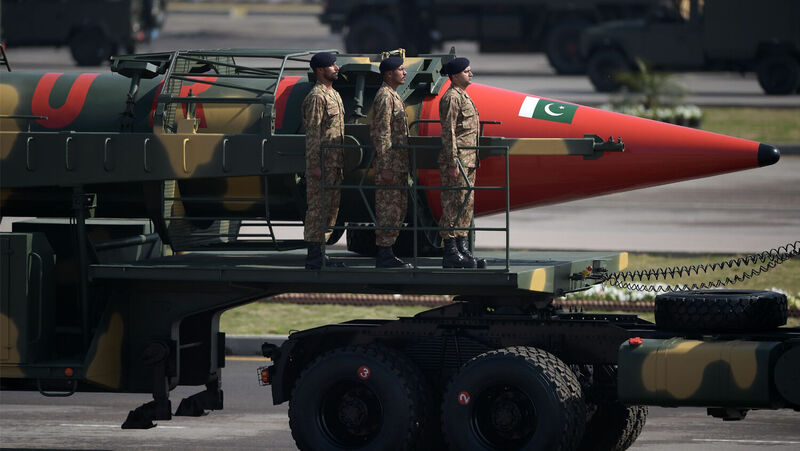 With support for terrorists coming even from senior levels in Pakistan’s military, some experts fear that jihadists could get access to the nuclear weapons the military controls. Nabil cited a 2014 incident in which the Taliban carried out a massacre at a school in Peshawar, Pakistan. Immediately afterward, Pakistan’s Atomic Energy Commission sent an urgent letter to the nation’s Strategic Plans Division, which is in charge of protecting the country’s nuclear weapons. The letter urged the division to devote more funding and effort to monitoring all personnel with knowledge of the nation’s nuclear weapons. “This letter, which has been kept secret until now, reveals just how concerned some Pakistani officials are—and how worried the rest of the world should be,” Nabil wrote. Another worrying sign came when the Ministry of the Interior published a policy paper warning that many of Pakistan’s hundreds of terrorist groups are active in Punjab province, where most of the country’s nuclear weapons are located. The paper also sounded alarms over the increasing influence of the Lashkar-e-Taiba terrorist group within the ranks of the Pakistan Army and intelligence groups, and in the families of military officers. Pakistan is the world’s sixth-most populous nation, with 207 million inhabitants. It is also one of the world’s youngest countries, with a staggering 64 percent of its total population below age 30. And 29 percent (58 million people) of the total population is between the ages of 15 and 29. In recent years, the unemployment rate for that 15-to-29 age range has exceeded 9 percent, according to the latest data from the National Human Development Report. This is up from 6.5 percent in 2007. This means more than 5.2 million young people are unemployed, a number equivalent to the entire population of Norway. With time on their hands and frustration in their hearts, many of these young people become interested in one of the hundreds of extremist and terrorist groups operating in Pakistan. Youths who lack education are often radicalized and assimilated into jihadist groups. But individuals who have education—and yet still fail to find gainful employment—are even more susceptible. As youth unemployment continues to rise, so too does the number of potential radicals who can be assimilated into groups like the Lashkar-e-Taiba. Whether Pakistan’s nuclear weapons fell into the hands of Iran-linked individuals, homegrown terrorists from the growing numbers of unemployed youth, or some other faction of jihadists, the results could be catastrophic. Jesus Christ warned of the age of nuclear proliferation we live in today, saying it would signal that the end of the age of man was imminent and that His return was at the door: “For there will be greater anguish than at any time since the world began. And it will never be so great again. In fact, unless that time of calamity is shortened, not a single person will survive …” (Matthew 24:21-22; New Living Translation). At the time that Christ spoke those words, a conflict that could threaten to kill every “single person” was not technologically feasible. But today, with several nations in possession of thousands of nuclear warheads, and with the security of Pakistan’s nuclear weapons so much in doubt, the stage is set for this prophecy to be fulfilled. Is China Building a Secret Military Base in Afghanistan? 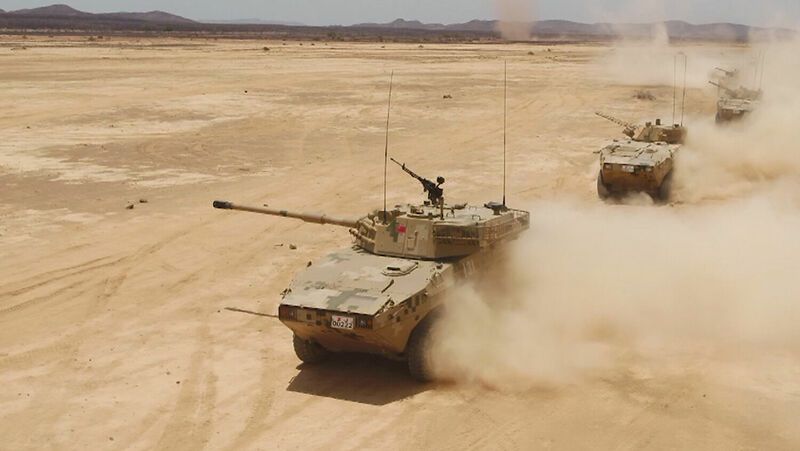 Soldiers of the Chinese People’s Liberation Army Support Base in Djibouti participate in a live-ammunition drill on May 12. Rumored installation would help China protect economic interests and ultimately project military power. China may be building a military base in Afghanistan to help combat terrorism in the region, the South China Morning Post reported on August 29. Citing anonymous sources tied to the Chinese military, the report said that China was planning to station at least one battalion of troops at the base to train Afghani soldiers. If the report is true, it marks a significant step forward in China-Afghanistan relations. However, the Chinese government has previously denied reports of military developments that have turned out to be true. It denied that it was building islands in international waters of the South China Sea—until the islands became too obvious to ignore. It also denied it was planning its first overseas military base in Djibouti—which opened last year. The military base in Afghanistan may be a similar situation. One anonymous military source told the South China Morning Post that the base is already under construction. According to the report, the Chinese government has been funding the construction of the base in the mountainous Wakhan. Located in Afghanistan’s Badakhshan province, the Wakhan is a narrow strip of territory that borders China. The Chinese government has worried for years that terrorism and instability in Afghanistan will spill over into China through the Wakhan. China’s Muslim-majority Xinjiang region borders the Wakhan. In the last few years, China’s ruling Communist Party has cracked down on the spread of Islam in the province, essentially turning it into a surveillance state. The Chinese government fears radical Islamic ideas taking root in Xinjiang. Building a military base in the Wakhan would allow it to combat the security threat on its western border by literally cutting it off at the pass. Afghanistan is also important to China because of the Belt and Road Initiative, a transport infrastructure project that China intends to be a modern equivalent of the ancient Silk Road trade route. The initiative requires the cooperation of key Central Asian countries, including Afghanistan. In January, Stratfor called the Wakhan corridor “an increasingly important component” of the new Silk Road. The easiest overland route from China to Europe crosses through Afghanistan and neighboring Tajikistan. If the base is real, it will help China keep out Islamic influences and ensure that the activities of the Belt and Road Initiative can progress. The Trumpet keeps a close eye on China’s military and economic activities because the Bible prophesies that China will become part of a soon-coming economic alliance—a “mart of nations.” The goal of this short-lived economic behemoth will be to block the United States out of world trade. Editor in chief Gerald Flurry wrote in the July 2016 Trumpet that Asia will form a trade bloc with Europe that will exclude and besiege the United States and Britain. China’s Belt and Road Initiative has already increased economic integration between Europe and China. The trade war with America has also alienated these two power blocs from their former New World trading partner. With a military base in the Wakhan, China would be protecting its economic interests at home and abroad. According to the Bible, China will be part of a powerful alliance of Asian nations called “the kings of the east” with a combined military force of 200 million men. Nuclear-armed China has already been pouring cash into its military, which is advancing in technology and size. This month, it plans to join Russia in its largest war games since the Cold War. After establishing its first foreign military base in Djibouti, it may now be eyeing one in Vanuatu. It has taken over and militarized the South China Sea. China may initially deny reports about its military activity, but that doesn’t erase the facts: The People’s Republic has stepped up its efforts to extend its economic and military power across the globe. It is amazing to see how God’s prophecies about China for our day coincide with China’s recent activity. God gave China its unique geography and influenced world events enough to ensure they would unfold according to His prophecies. Now this Asian giant is coming out of its isolationist ways. It has gained tremendous economic clout that poses a considerable threat to the United States. 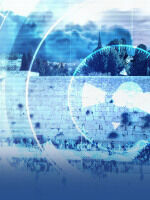 Its capability as a military power is also rising to levels commensurate with those foretold in Scripture. But that doesn’t get to the heart of why the Trumpet reports on China’s rise. We follow this trend because of what will happen after the siege. All of these major events prophesied in the Bible are part of a series of events that lead right up to the return of Jesus Christ. So when the Trumpet reports on these disturbing trends, it’s with the anticipation and hope of what they ultimately lead to: a better world, led by the only government capable of bringing peace.